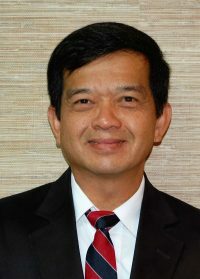 Mr. Minh Ngo is the admissions coordinator for International Students. If you have questions or would like to learn more, you may email Minh at mngo@tcpsk12.org. Tennessee Christian Preparatory School welcomes our international students and families to explore our school community. We celebrate our cultural diversity, and hope we continue to enrich the lives of our international students and families. Translated academic transcripts and grade reports. Proof of English Proficiency (TOEFL test results). If the student prefers to take the TOEFL Junior, they must take an additional standardized test (i.e. ISEE, Explore, SSAT, ACT, SAT). Phone or Skype interview (set up through the admission office). Upon acceptance, TCPS will assist the recruiting service with the I-20. We generally accept students in the high school grades, ages 14-18; however, we may make exceptions on a case-by-case basis. Please feel free to inquire. Please note that we do not offer boarding. We will assist with placement of a host family, if needed, but there is no guarantee. Also note that we do not offer English as a Second Language (ESL) programs. In fact, proof of English proficiency is a requirement of the admission process. TCPS does not offer tuition assistance or merit scholarships for our International Student applicants. TCPS charges an international student processing fee of $1,000 per student for the first year of admission and a fee of $200 each additional year. This payment must be made along with enrollment fees upon acceptance. Submit a completed admission application with the $25 non-refundable processing fee. Please make checks payable to Tennessee Christian Preparatory School or pay online. In an effort to acquaint ourselves with prospective International Students, an applicant photo – though optional – is appreciated. Once the admission process is complete, the Admission Office will communicate to the student regarding the Admission Committee’s decision. Families who would like to learn more about TCPS are encouraged to contact our Admission Office and tour the campus. Take the next step in your child’s education journey! Learn more about our International Student programs, schedule a visit to our campus and learn more about a college preparatory education from a Biblical worldview, or feel free to ask any other questions you may have.